So, at the halfway mark, ECU could be standing pretty at 5-1 overall, 2-0 in the league and maybe even ranked. In the 3rd quarter of the season, the Pirates will host the biggest brand name in the league and then must go on the road to Philly (a trap maybe?) and then on to Cincinnati for a game that really may be, to this point in the season, the MOST pivotal contest on the slate. Take stock at this point. Where do you has us by mid-season? 2-4, 3-3, 6-0? Please share with me on that. Days long gone by: UConn is not even a shell of the program that once took on Oklahoma in the Fiesta Bowl. 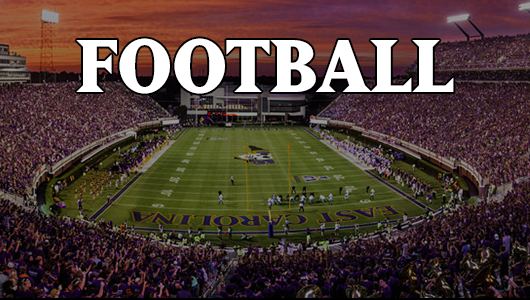 Thursday night under the lights in Dowdy-Ficklen on national TV, hosting the biggest brand in our new league. It will be a wonderful setting for the Pirates who return home after spoiling USF’s homecoming in a big fashion. Sitting at 5-1 overall and 2-0 in the AAC, the Pirates will no doubt be jacked up to be on TV in front of what should be a sold out stadium. So what type of team will Connecticut bring into the Pirates’ cove? Well, if the Huskies were even a shade of the team that somehow managed to find its way to a Fiesta Bowl clash with Oklahoma in 2011, I would be worried, but instead the UConn football team has fallen hard and fast since that lopsided BCS bowl loss and the departure of Randy Edsall to Maryland. Since that loss, the Huskies are on their third coach (if you count an interim stint by T.J. Weist following two quick years under former Syracuse coach Paul Pasqualoni). Now, former Notre Dame DC Bob Diaco will see what he can do at the basketball-above-all school. A year ago, the Huskies struggled mightily, finishing 3-9 overall and 3-5 in AAC play. The hope for the Huskies is that there may be some carryover effect from winning those three games late in the season. The reality is that their defense was horrible and their offense, not so good. This season, they will be breaking in a new QB and will be doing so behind a less than stellar O-line. Diaco did a great job defensively at Notre Dame, but did so with Notre Dame caliber players…which he will not see the likes of on his current team. The Pirates offense – which will have the better part of two weeks to prepare – should score in buckets and at home, jacked up for a night game with friends a plenty in the stands…I just don’t see how UConn has a chance. Though D is the new coach’s hallmark, it will take time. Like USF, the Huskies are switching to a 3-4 scheme which the Pirates know very, very well. And with very little experience returning up front for UConn, the Pirates OL should have no problem giving Carden time and the Pirate backs space to attack the 2nd level. This SHOULD be a night for Carden and crew to inflict their will. Of note, the Huskies defensive strength is their secondary, but even so, if Carden has time and with the ECU weapons hacking away underneath and outside in the intermediate routes, they would have to be more than good to make a difference. Offensively, the Huskies played several different QBs and though it appears that RS-SO Casey Cochrane (who directed the team to all 3 of its wins) will be the guy, it probably won’t matter much as the Huskies have to replace 4 OL starters…ouch! This bodes poorly for whomever sits behind center, not to mention, the match-up heaven it will be for the Pirates front 7 looking to top last year’s top-10 finish in sacks produced. If they try to pound it with their experienced running backs, it will be exactly what the ECU front wants…run-stopping is the Pirates D’s wheelhouse, having been a top-10 team against the run in 2013. Diaco may be the guy who turns it around at UConn…but not this year in regards to ECU. This should be another game where the Pirates O rings up an opponent. Let’s say the Huskies hold them under 50…how about 48-21? Temple QB P.J. Walker is a gamer…and ECU sometimes lets young QBs look like All-Americans. Context is everything. So before we break Temple down, it is important to note that the Owls were 2-10 last year. You don’t go from that to league contender in one off-season, even if you want to badly. Having said that, the Pirates – who would be coming in on an offensive roll boasting a 6-1 mark overall and a 3-0 AAC tally – should be wary for a few reasons, none of which can’t be overcome via preparation. First, road games are tough enough, but when you can expect to play in a near-empty house, it makes it harder, particularly when a week earlier you were playing in a packed, raucous stadium. The Linc – where the Philadelphia Eagles play – will seem cavernous to our kids and it could be demotivating, even though at this point in the season the Pirates would likely be ranked or damn near close to it (based on how USC, North Carolina, and Virginia Tech are fairing) which should be enough to carry them. Second, though the Owls – who were a ridiculously young team in 2013, were dismal in the W-L column, they finished playing good football – though they lost most of the games down the stretch – actually leading in most games before succumbing to youthful mistakes. This stretch included a 39-36 loss to AAC and Fiesta Bowl champion UCF – which needed a field goal in the end to win it. And third…the Pirates historically have found a way to stumble in the least expected places. On paper, this one might be entertaining for a quarter or two (largely due to a young QB that can ball in PJ Walker), but the Owls really should not present much of an obstacle for the Pirates’ offense not to roll for a third-straight week. The Owls’s defensive line is being retooled and young guys (freshmen and sophomores) will be counted on and the secondary is a complete rebuild. The linebacking corps is solid, but against ECU’s attack, will be scattered trying to support the run and help out the secondary. 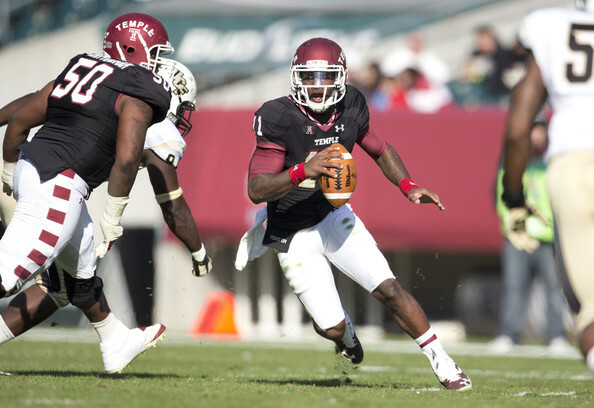 The Owls D will be fast and athletic though and could surprise…but shouldn’t be able to keep pace with the offense. On the other side of the ball, like the previous two games, the Pirates staunch front 7 will face a team that has an OL that is mediocre at best. Their is nice speed at the skill positions, though the receiving corps leaves a lot to be desired. 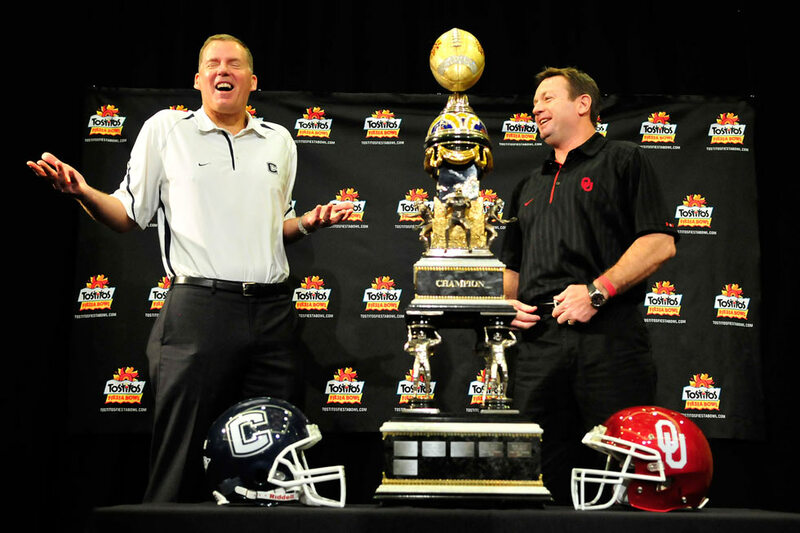 It is a match-up situation for Temple…one that they will lose. The Pirates front 7 against a team that will struggle to block them…it favors the Pirates in every way. And with the Temple receivers struggling, it makes matters worse. Finally, the Owls will be coming off a tough game at UCF the previous week and may be pretty bumped and bruised from that contest. The Pirates will have to overcome complacency and because it is one of those road trips that will be uncomfortable for ECU, I am blaring the horn on this one…it will be uglier and not as nice as we would all like. I am thinking something like 35-17…Pirates. 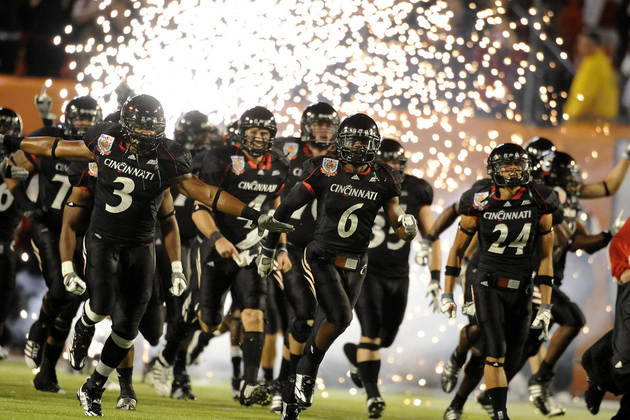 This game at Cincy has the potential to be a fireworks affair…with huge AAC implications. And now, at 7-1 and 4-0 in the AAC, the Pirates travel to Cincinnati for what will be the biggest game on the slate to-date. Forget the OOC games, this is the game the Pirates learn all about that well-discussed “step up” in play in the AAC. I hear all of the Pirates fans now…”but we have dominated Cincy over the years.’ That was dad’s Cincinnati…not the post-CUSA Cincy. Yes, the Pirates own a 12-5 all-time lead in the series, but, the last three times the teams have played, it was all Cincinnati, and two of those losses were via blowouts. Of course, the counter-caveat here is that the 2003 and 2004 losses come under former coach John Thompson who led the Pirates to their worst-ever back-to-back seasons in the history of the program. Cincy can be impressive, see their highlights here. For most pundits out there, the Pirates and the Bearcats should be of the same ilk in 2014 which makes this game a huge test and a must-win game for the Pirates. Being on the road and having come off a series of – let’s be honest – lesser teams, ECU could find themselves stunned early by a Cincy team that will have a lot of strengths and a few holes – just like the Pirates. They say that the home team should get at least 3 points and as much as 7 for being the home team, so the Pirates stand to struggle in this one guys. Now, as a preseason guess, the one advantage that ECU has going in, is that the offense is a known quantity whereas the Bearcats’ O is largely speculative. Where the Pirates have bona fide stars at the QB and WR positions, a pretty solid OL (assuming that two JUCO All-America’s prove their worth in filling in the two open jobs), the Bearcats are banking on potential. Anyone following the AAC has heard again and again about potential starting QB Gunner Kiel. He was a 5-star recruit out of high school who committed to Indiana, then to LSU, and eventually signed with Notre Dame and then transferred to Cincy. If he is the starter going into this game, it means he was everything that the hype said and our Pirate D will be in for a long night, particularly facing a precision passer in a traditional pro-passing attack. Ughhh in terms of strength on weakness. HOWEVER…Kiel hasn’t taken a meaningful snap since high school… 3 years ago. While the OL returns 3 starters, there are questions about who will fill the gaps. Speed and athleticism mark the Bearcats’ skill positions, with a host of receivers who got the ball last year. In some ways, they are a mirror of ECU’s offense, just a slightly lesser model of it…so far. I think the defensive front will get to the quarterback, but there is worry to be had in terms of the deep ball and home run plays on our secondary. The setting will be amazing. Another Thursday night, nationally televised game and a real likelihood that both teams will be sporting 7-1 records coming in. It has the makings. This one may really come down to who wants it the most as well as who makes fewer mistakes. Special teams – something that Cincy was woeful at and ECU certainly not spectacular (minus kick return units) – could have a say in it. Still, using last year as a barometer (Cincy did win 9 games), there are a couple of glaring losses that can perhaps give an ECU fan some slither of comparison. Cincy lost to a dreadful USF team and was crushed by the same North Carolina team that the Pirates took to the woodshed. Defensively, the Pirates will need that vaunted front 7 to show up in spades and shake up the QB. If the Pirates can force the Bearcats to try to run for victory, it will be a success for the D. Otherwise, if the Bearcats are passing the ball, our secondary could really take a beating.This one may come down to game planning – that is, whose defensive game plan is best. Looking at the Bearcats defensively, the Pirates OL will benefit from the Bearcats potentially being a bit soft up the middle. New defensive tackles and inside backers as well as at safety match up well with ECU’s OL weakness at guard (on paper). The Pirates run game has always been a keep-em-honest component of the O, being able to run up the middle some is an important ingredient for the offense AND with the passing game reliant on the IWRs, the softness over the middle could be a real advantage for Justin Hardy, Bryce Williams, Davon Grayson, and Isaiah Jones in the attack. This is an important match-up because Cincy will be very fast and very good on the edges and outside…meaning that there probably will not be the kind of open space ECU’s receivers like to work in. Dink and dunk will have to be dink and slam dunk in this one if the Pirates hope to win. If the Pirates were home for this one…I would go Pirates, but on the road, under pressure of a rolling record…this will be the toe-stubber for the Pirates. It will be close though…34-38 Cincy. With the home-stretch approaching, I see the Pirates sitting at 7-2 and 4-1 in the AAC. The final three games will tell the tale for ECU’s first season in the league with the Pirates getting home games for two of its league foes. The final quarter of the regular season schedule begins with a home tilt with Tulane (echoes of a blown game a year ago), followed by a road trip to Tulsa, and then a home clash with defending AAC champion and rival Central Florida in a game that could determine the league champion. Check me out for that post.